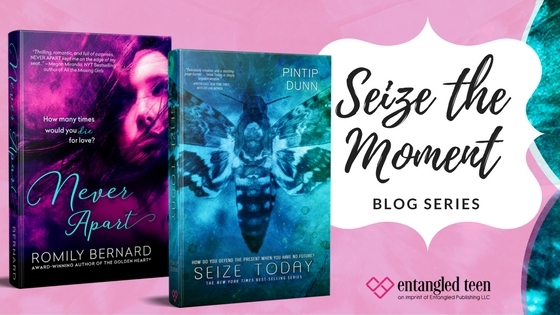 When I was first asked to blog about seizing the moment, I had no idea what to write. I don’t consider myself shy when comes to going after what I want. It doesn’t take much prompting. Sometimes this leads me to some seriously poor decision—cutting my bangs, I’m looking at you—but other times, it really pays off. Like when I lied to get my agent. I know. I know. It sounds so tawdry when I say it like that, but it’s basically what I did. 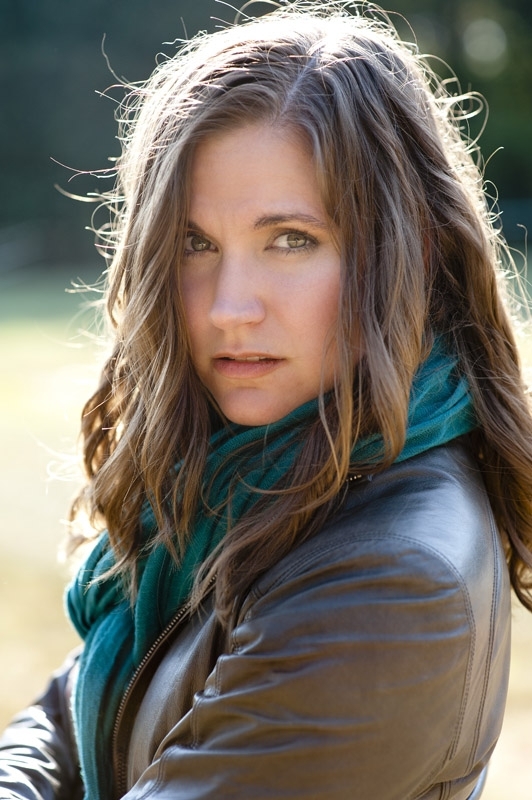 When I first spoke with Sarah Davies, she said she was interested in repping more YA thrillers. Then she asked what I wrote, and in a moment of, well…something. I’m just not sure what that something was, I said I wrote YA thrillers. Then I sat down to do it, and ten months, two re-writes, and countless moments of self-doubt later, I had one. Want to read more? 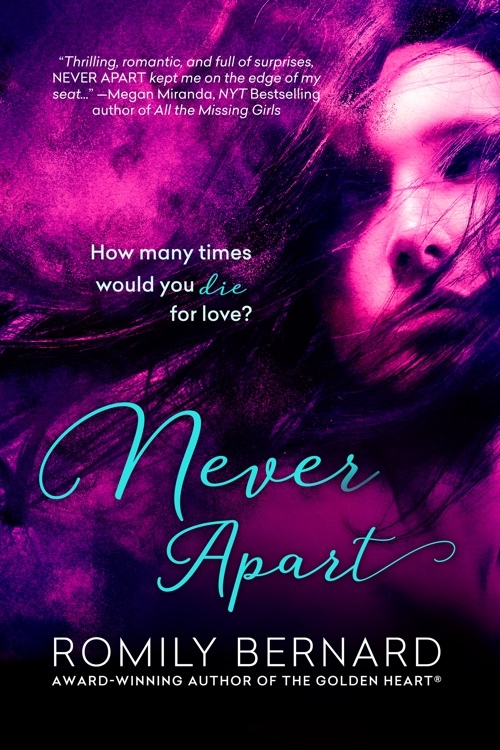 Get your copy of Never Apart by Romily Bernard today! Her YA thrillers FIND ME, REMEMBER ME, LIE FOR ME, TRUST ME, and NEVER APART are now available. Swoon Sunday with Alex Locke from The Heartbreak Cure by Amanda Ashby!